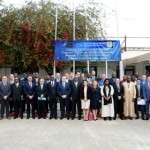 The Workshop organized by the Kofi Annan International Peacekeeping Training Centre (KAIPTC), Accra, Ghana and the African Centre for the Study and Research on Terrorism (ACSRT) based in Algiers, Algeria with the support of the Spanish Government, 7-8 November, 2016. 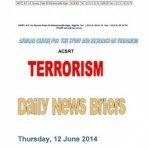 Increasingly, Violent Extremism (VE) has mutated into terrorism, becoming a major security concern to governments and organizations such as the African Union (AU) and the Economic Community of West African States (ECOWAS). 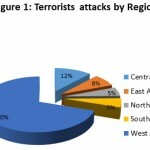 While activities of violent extremist groups such as Boko Haram (Nigeria), Al-Shabaab (Somalia), and Al-Qaeda (in the Sahel) are aiming at undermining security of states as attested by the removal of Amadou Toumani Toure from power in 2012, their impact is much greater on human security, as individuals, families and societies continue to bear the brunt of terrorist attacks across Africa. The kidnapping of over 200 Chibok school girls in Nigeria in 2014, as well as the attack against the Westgate Mall in Nairobi, Kenya, that left at least 65 people dead and the killing of 147 students at the Garissa University, April 2015, also in Kenya, show the extent to which violent extremists are shaking the very core of human security in Africa. compromised, raising concerns about the need for organizations such the AU and ECOWAS to be more innovative in addressing the menace of VE in Africa. 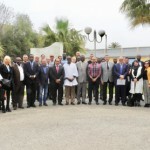 Against this background, the Algiers-based ACSRT, in collaboration with the KAIPTC, Accra, deemed it important and timely to organize a two-day national workshop on VE with funding support from the Government of Spain, in Accra from 7-8 November 2016. The two-day workshop aimed at addressing the root causes of VE through a human security approach. It brought together speakers from across Africa, including Academics, Security Practitioners, Researchers, Civil Society Organizations and representatives from the AU and ACSRT, as speakers and resource persons. 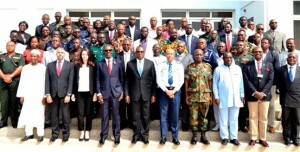 Among the key speakers and representatives were Honourable Prosper Bani, Minister of Interior, Ghana; Air Vice Marshal Griffiths Santrofi Evans, Commandant KAIPTC; Brigadier-General Emmanuel Kotia, Deputy Commandant KAIPTC; H.E Larry Gbevlo Lartey Esq, Director of ACSRT; and Dr Kwesi Aning, Director of the Faculty of Academic Affairs and Research (FAAR), KAIPTC; among others. Almost 70 participants from State Institutions such as the Ministry of Foreign Affairs and Regional Integration, Ministry of Interior, Ministry of Defence, Civil Society Organizations, Religious Organizations, Community Leaders and the Security Agencies, including the Military, Police, National Security Secretariat, Bureau of National Investigation, Immigration and the National Fire Service and academia, also attended the workshop. • Provide an opportunity for the relevant government, civil society and local community actors to discuss the concepts of VE and Human Security and share experiences and points of view. • Provide an opportunity for stakeholders to discuss a Human Security approach to and community participation in the response mechanisms to VE and how this can complement traditional law enforcement methods. • Examine the phenomena of indoctrination and radicalization within local communities and establish the major attributes and characteristics. • Identify the roles of respective actors at the national, regional and international levels in the prevention and the countering of violent extremism and set out a list of priority of action for group of actors. • Stronger and coherent CVE policy frameworks and plans of action should be developed at the regional, sub-regional and national levels. • Human security should be mainstreamed into CVE strategies to ensure that such strategies are people-centred, community-owned, context-specific and comprehensive. • Good governance, strengthening the rule of law and access to the dispensation of justice in AU member states should be key considerations. © 2019 CAERT. All Rights Reserved.